Raw Inkk is a family run company that specialises in large format, UV cured printing. Images, graphics, illustrations, textures and colour, all come to life printed on virtually any surface such as wood, glass, acrylic and more. 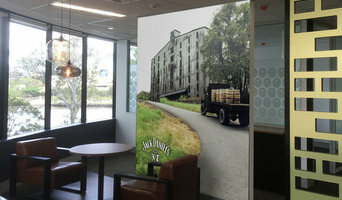 Large format printing that brings a whole new dimension to your ideas - a third dimension!!! With a capacity to print 3D texture that you can actually ‘feel’ your project will go from great to incredible. Our unique capacity to print around onto the edge of the material sets us apart from all other large format printers. All projects can be supply only or if installation is required we can organise this to suit your needs. Welcome to Oops Cleaning Toowoomba where our prime focus is to provide quality services at fair prices and we are helping our clients throughout Toowoomba for many years. We provide ready-to-use carpet cleaning services such as best carpet steam cleaning, carpet shampooing, carpet stain removal, carpet deodorisation services and more. 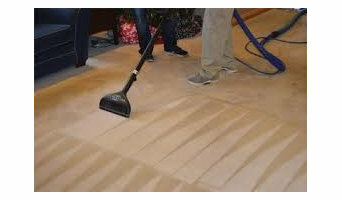 Besides, we renovate and mend your carpets with appropriate techniques and provide them with a wholesome and clean appearance which last longer. We have only guaranteed and experienced technicians and we employ strong and eco-friendly solutions for carpet cleaning purpose. 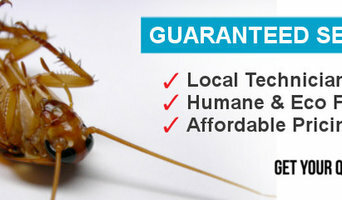 Our professionals are ready to help you anytime according to your ease. Call us at 0414530372. promptly! Hire the professionals of Green Cleaners Team we are recognised for providing the best carpet cleaning services to our clients at reasonable prices. By hiring us you will get services such as carpet sanitising, carpet deodorising, carpet mould removal, pet stain and odour removal service, carpet sanitising, carpet deodorising, carpet mould removal, pet stain and odour removal service and more. Our carpet cleaners have years of practice in this industry, therefore, we never quit to provide our clients with the results they demand. Hence, we have become the Toowoomba most preferred company for carpet cleaning. We are ready to help 24/7 and you can communicate with us online for same day booking or give us a prompt call on the number +61 414 530 372 momentarily! We are available on weekends as well. Looking for Carpet Cleaning in Toowoomba which would be guaranteed and at a reasonable cost. Tendon the most wanted company - Marks Carpet Cleaning!! We are giving to our clients the best services like Carpet Steam Cleaning and Carpet Stain Cleaning. Our technicians deliver Carpet Dry Cleaning and many more cleaning services. We are competent to provide our professional service in all areas of Toowoomba. Our qualified and diligent professed will provide your carpet with a new beautiful aspect. Just call us on for prompt booking. 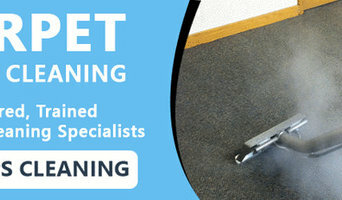 Sparkling Cleaning Services is the most trusted and reliable company for Carpet Cleaning Toowoomba. Our company provides carpet services like Carpet Stain removing, Carpet Sanitising as well as Carpet Decolorising. Our Carpet Cleaning Toowoomba has served in all regions of the Toowoomba as our services are spread locally. 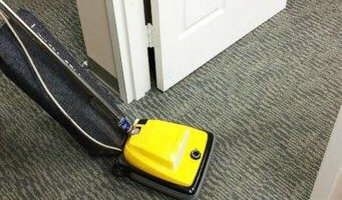 We use eco-friendly cleaning solutions and modern equipment which is safe and best for removing stains in the carpet. You can hire our professional carpet cleaners and they will give you the carpet cleaning services like never before. So, you can hire us by calling on 0414530372 or book online. Give your feedback after the completion of the service. Trust Toowoomba Home Maintenance Service when it comes to reliable and friendly handyman and home repair services. A locally owned and operated company, we provide high quality residential and commercial property maintenance services in Toowoomba and the surrounding areas. We take pride in our range of home improvement and handyman services carried out by fully insured and qualified tradespeople. From house painting and fencing to gutter cleaning and rental repairs, trust our team to deliver. We offer top-notch residential and commercial building maintenance services at competitive rates. Here at Toowoomba Home Maintenance Service, we handle every job in the most professional manner. We are trained in the different areas of carpentry, installations, painting, plastering and renovations. Every painter and tradesman in our company has the skills and expertise to do every home painting, repair and maintenance job right the first time. Whether you require window painting, gutter cleaning or decking repairs, our home painters and handyman specialists can provide guaranteed workmanship. We handle basic and complex repair and maintenance tasks. There is no job too big or too small for us. We are ready to accommodate any concerns and provide professional advice and solutions to every clients' needs. From large scale house repairs to leaf guard and guttering system concerns, we provide on-time, cost-effective solutions. Oops cleaning helps to keep the dirt and dust from tearing away at the fibers in the carpet, which ultimately makes them look better and feel softer for a longer amount of time. Having your carpet professionally cleaned by our Oops Carpet Cleaning Toowoomba will provide Carpet steam cleaning, Carpet dry cleaning, Carpet shampooing, Carpet stain removal, Water damage restoration.Call Us 1300 513 369 oops cleaning service today. Our Tip Top Cleaning service offers all Carpet, Rug, Lounge & Upholstery Cleaning in Ipswich, Greater Springfield & surrounding areas. Our carpet cleaners are some of Ipswich’s most experienced & knowledgeable technicians, who pride themselves on providing exceptional quality & attention to detail each & every day. Our service in Brisbane is open 24x7 for our customers including services like dry cleaning Ipswich, carpet cleaning Ipswich in good and reasonable rate. Spezialanbieter arbeiten oft selbstständig oder leiten Firmen, die auf besondere Aufgaben spezialisiert sind. Ihre Dienstleistungen reichen von Restaurierung bis Instandsetzung, umfassen aber auch handwerkliche Tätigkeiten wie Schmiedearbeiten, Kellerausbau oder die Abdichtung von Bauwerken. Mit Houzz haben Sie die Möglichkeit spezialisierte Firmen in Toowoomba, QLD, AU in Ihrer Nähe einfach zu finden und direkt zu kontaktieren. Diese präsentieren sich mit Bildern und Projekten, stellen sich den Fragen der Community und freuen sich über Kommentare zu Ihren Arbeiten.